Nearly two years ago, I made the commitment to get myself in shape. I was walking through the streets of New York City and thought I needed to get myself together physically. I began my journey at 299. I am just like any person on a weight loss journey. I have to remember that it is a journey, and I also have to remember that it is a process to reverse decades of poor eating habits and choices. We all have our good days and bad days. The past several months I have allowed stress and temptations to take control. It has resulted in gaining and losing weight. YIKES! I have learned that my greatest success with weight loss has been when I openly discuss it with my family, my friends, and you—my viewers. Starting today, I will make a weekly blog about my journey and share tips along the way. 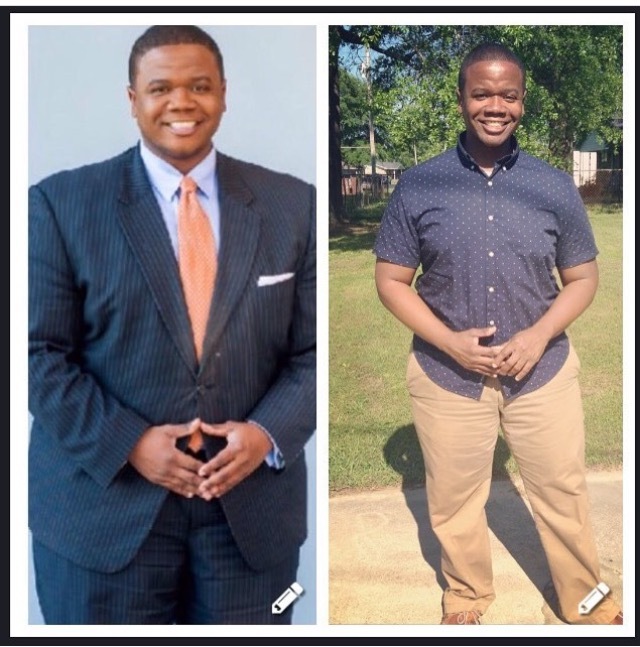 Over the years, I have watched people I really admire like Oprah Winfrey, Kirstie Alley, Al Roker, Star Jones and so many others who have struggled with maintaining healthy weight by doing what is commonly known as “yo-yoing”. We are all human and many of us will have similar struggles with weight loss and subsequent weight gain. The one thing that has remained constant throughout this journey is the support from my friends, family, and my trainer Adam Seiler. I am so thankful to have the support of him. One of the most valuable lessons I’ve learned throughout this journey is that weight loss is an emotional journey. My support system has been there and pushed me along the way, even at times I wanted to give up. I hope this weekly blog will encourage each of you to get off the sofa and get moving. Summer is here and we all want to look our best at the pool or beach. As of today, I have lost 50 lbs and I hope you will join me on this journey.